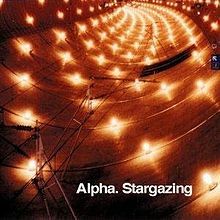 Stargazing is Alpha’s third studio LP, released on 23 March 2004 on the Nettwerk Records record label. Combining trip hop with downtempo the album features the vocalists Wendy Stubbs, Helen White, Martin Barnard and Kelvin Swaby. An additional track, “A Perfect End”, is available on special edition of the CD.